These gloves are made of acrylic with conductive-fiber part on 3 finger tips. 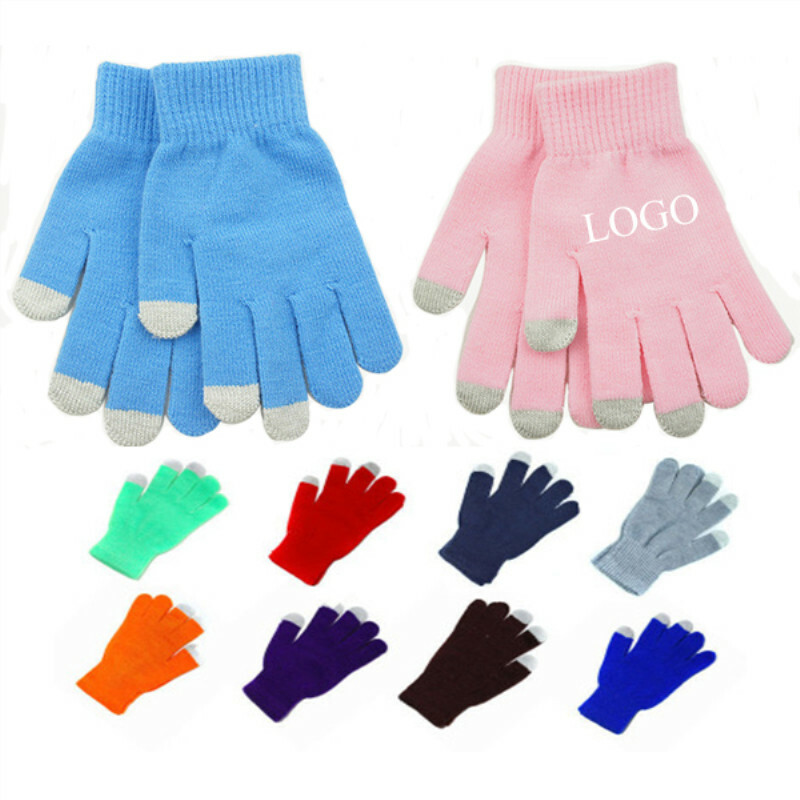 These gloves allow you to use your touch screen devices without taking off your gloves. Custom logo could be imprinted. 7" Lx 4"W.
Price includes full colors, 1 side, 1 location. Add setup charge $40USD.